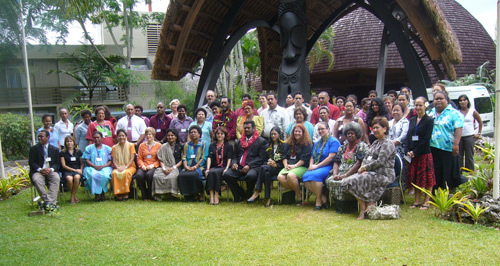 November, 19-21, 2007 a CEDAW Workshop was held in Port-Vila, capital of the Republic of Vanuatu. This Workshop was focusing on the implementation of the Concluding Comments from UNCEDAW to the 4 Pacific countries who have already reported to the UNCEDAW. The countries were Fiji, Samoa, Vanuatu and the Cook Islands. The meeting was privileged for the presence of the Chairperson of the UNCEDAW Committee in New York - Ms Dubravka Simonovic. Also present was Ms Saras Jakwanth, from the Division of the Advancement of Women in New York.